Income thresholds the state uses to determine whether Social Security benefits are exempt from taxation would be indexed for inflation under a bill heard by the Revenue Committee Jan. 24. 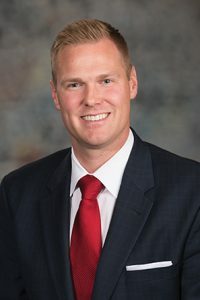 LB738, introduced by Omaha Sen. Brett Lindstrom, would index those exemption thresholds for inflation in the same way as the state’s income tax brackets. As a financial advisor, Lindstrom said, he works with many retirees whose biggest concern is the purchasing power of their limited income. By not adjusting the income thresholds, he said, the state is allowing inflation to erode that purchasing power. “If we don’t adjust this on an annual basis, eventually the purchasing power of that dollar doesn’t go as far,” he said. The state Department of Revenue estimates that the bill would decrease state revenue by $346,000 in fiscal year 2018-19. That would increase to $3.9 million by FY2021-22. David Holmquist, president of AARP Nebraska, testified in support of the bill. Holmquist said Nebraska has more than 330,000 Social Security beneficiaries. Approximately 18 percent rely on Social Security for 90 percent or more of their income, he said, and 47 percent rely on it for at least half of their income. “Annually adjusting Nebraska’s taxation of Social Security benefits for inflation is an important way to protect the purchasing power of lower- and middle-income retirees,” Holmquist said. James Cavanaugh, an Omaha attorney specializing in Social Security disability law, also testified in support of the bill. The state drives retirees away by taxing Social Security benefits, he said. LB738 would reduce state tax revenue, Cavanaugh said, but any loss would be offset if the measure encourages more retirees to stay and keep paying state income, sales and property taxes. “It’s better financially to be retired in one of these other states that recognize that it’s not wise to—at the very least—tax Social Security benefits,” he said.